Our priority is to provide you the time, attention and quality healthcare you deserve. We adjust our schedule to fit yours. At Rozin Internal Medicine, Dr. Rozin's goal is to provide you with time and attention so you receive the personalized healthcare you deserve. One-on-one relationship with your personal physician. Always seen by Dr. Rozin, not someone new at each visit. One physician who knows you and your medical history. Strong focus on preventive healthcare working to keep you healthy and maximize your quality of life. Punctual and unhurried appointments. You will be seen quickly after your arrival at the office. Sick appointments generally available the same or next day. Friendly Patient Service Advocate to assist with your appointment scheduling needs. Unrushed office visits provide more time for detailed care. Direct phone access during regular business hours with a staff member, not a voicemail system. Physician availability after hours by cell phone. Screening tests not covered by insurance that may discover illnesses before they become serious. Appointment with an Exercise Specialist for overall physical assessment. Access to lab and test results 24/7. Dr. Rozin personally explains lab results on a private password protected system. Enhanced coordination of specialist care and hospital services. 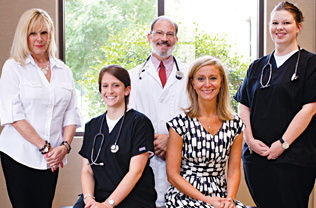 Dr. Rozin directs the interaction of your other doctors so all caregivers are informed and work together. If you are hospitalized, Dr. Rozin typically manages your medical care throughout your stay, including in the ICU. Communication with you tailored to your specific needs. Access to National Network of Physicians when traveling.